There is a nightmare that every hiker and outdoor adventurer has: meeting with a bear in the woods. The big king of the woods is no match for a human (even a well trained one) and when aggressive, it can inflict a lot of damage using his weight, teeth and claws; sometimes the attack can be fatal. The bear is an omnivore; this means that he will introduce anything in his diet and yes, human flesh is also on the list. Even though they won’t hunt humans for food and most likely won’t eat us, they will definitely attack if surprised or threatened. The ones that are most likely to encounter a bear in the woods are hikers, campers, bikers, and hunters. 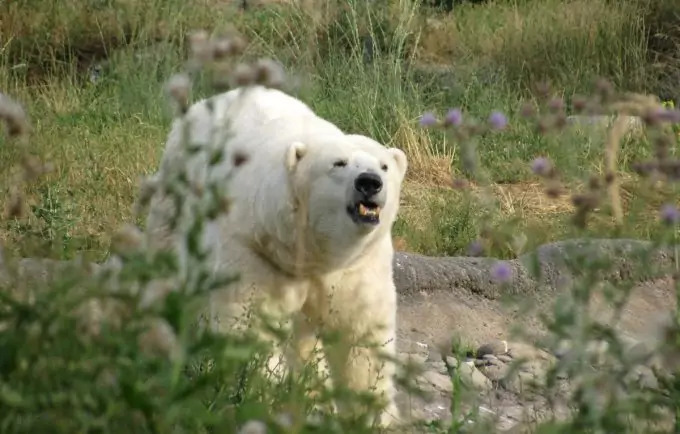 The statistics show that the attacks are not numerous, which is logical, given the fact that they happen only when humans and bears cross paths. Still, they are messy and violent. In the table below is a statistics that registers the number of deaths occurred after a rough encounter between a human and a bear between 2005 and 2012 in North America. What types of bears can you run into and where? 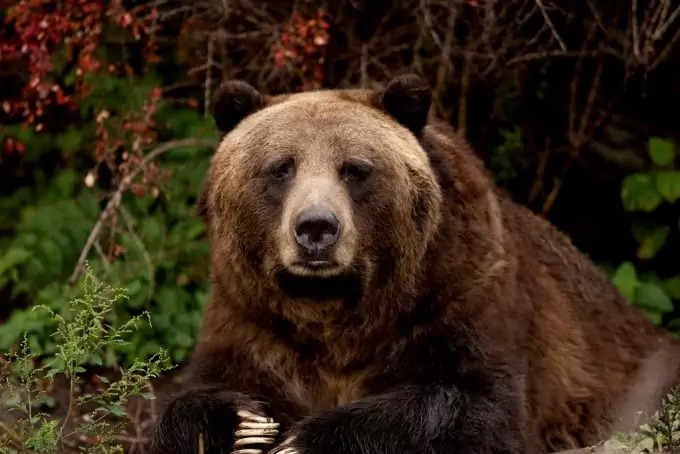 At the local dumpster that is close to a forest – bears have adapted over the years and learned not to fear human inhabited areas. They often go into town to shop at their local mall – the dumpster, for some delicacies like leftovers and other interesting things. Sadly, they can become addicted to human food and thus difficult to handle when someone disturbs their play around the dumpster. In the woods, on trails or in bushes in areas frequented by bears – they don’t like meeting us as much as we don’t like meeting them. It’s a reciprocal agreement that it’s best to not meet each other, if you like. Even so, meetings happen and when they do, you need to be prepared. 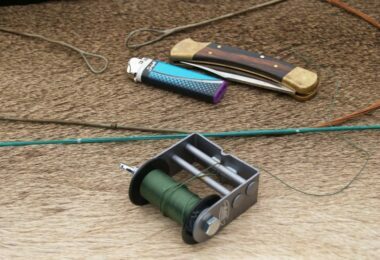 Check out our article reviews of the top bear canisters to help prevent bears from approaching your camp. When you go on a hike or camping trip it’s always best to check if the area you are heading to isn’t a bear habitat. 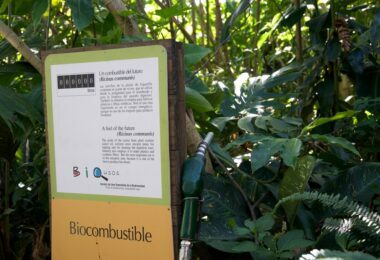 A map like the one above will definitely do the trick but if you don’t have access to one or don’t have the necessary resources to get the information by yourself, consult the local authorities. Let’s discuss a little about the areas that are most frequented by bears in North America. This small guide is meant to help any outdoor enthusiast or adventurer correctly quantify the danger of meeting with Smokey. Habitat: This one is the most likely to meet while hiking through woods or looking for berries because his habitat is the largest. You can meet a black bear starting with central Mexico and ending up with northern Alaska. 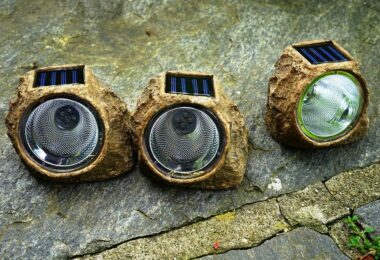 In US, you’ll find them in the Rocky Mountains, on the west and east coast and in small patches in southeast and southwest. Personality: This type of bear is quite shy and tries to avoid meeting people as much as possible. He will definitely try to steal food from dumpsters if he can, but he’ll be a gentleman about it and travel at night when the danger of meeting him face to face is extremely reduced. Physical characteristics: they are the smallest out of three types and despite their name the coat color can vary from light brown to black. Their ears are slightly taller than the Grizzly’s and a male black bear can weigh up to 550 pounds. Also the front claws are short and dark, the face is straight, and the shoulders don’t form a hump. 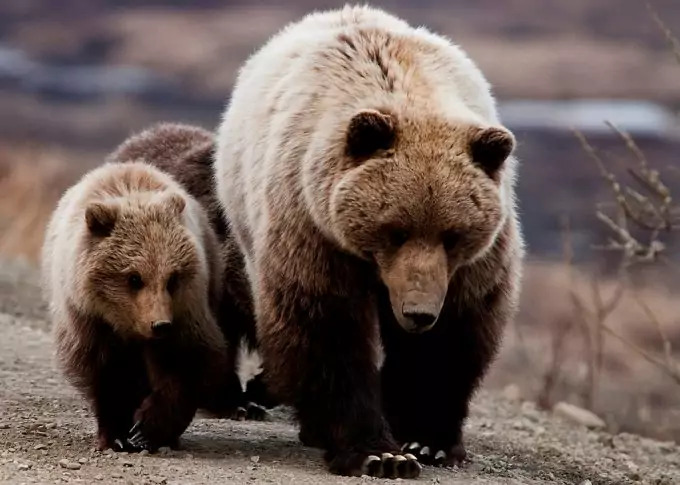 Habitat: In USA, the Yellowstone National Park is considered to be the Grizzly’s home but they can be seen on other states like Utah – the northern side, Alberta, British Colombia, Wyoming, Idaho, Washington, and Montana – on Northwest. Their largest habitat is in Alaska and Canada, the Northwest regions. Personality: The Grizzly bear is much more aggressive than the Black Bear and won’t move away from a confrontation. Physical characteristics: The general fur color is brown, which is why the Grizzlies are also called the brown bears of America. The Grizzly is easily recognizable by the evident hump his shoulders form while he’s walking. The face is a bit concave and his front claws are long and light in color. His ears are short. Habitat: North Canada, North Alaska and Greenland. We all know that the big white loves cold weather and a bit of snow never bothered him. Personality: They are not accustomed to people, even though humans have invaded his habitat in the last decades. This makes them extremely dangerous as he may consider us part of his pray. Physical characteristics: as the name states, their fur is white and they have the same hump on their shoulders like the Grizzlies. They are the biggest out of the three types; a male polar bear can weigh from 700 pounds to 1500 pounds. This description is important because when you ‘finally’ get to meet Smokey, you’ll need to know the type you are dealing with. 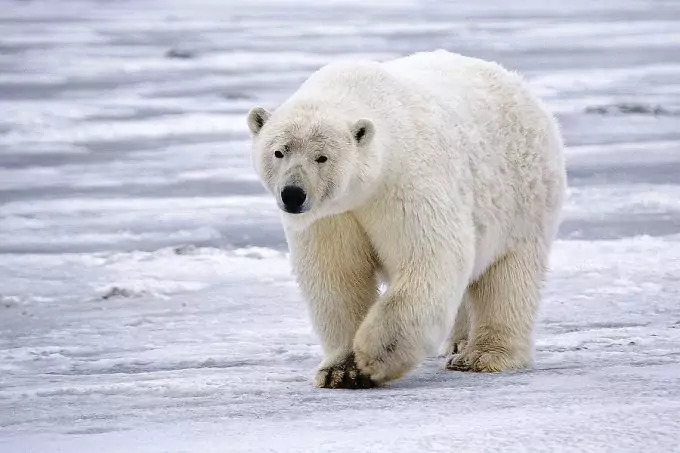 If you don’t plan on going to the frozen North then it’s probably safe to say that you won’t have to worry about the Polar Bear, which is actually good news. To summarize, if you see a bear in the distance, check out if you can see a hump on his shoulders as he walks. Of course you could try taking a look at his claws but if you’re that close to actually see them, it might be a bit too late for you. Still, don’t lose hope, there are people that had a close encounter with a bear and lived to tell the story. Claws are also helpful if you find tracks. Just keep in mind that the Black Bear has short, thick claws, while the Grizzly has long and straight claws. Even though the Grizzly is considered to be bigger than the Black Bear, trying to differentiate them according to size or fur color is not always a good idea. For example, Grizzlies that live on coast are usually bigger than those that live inland. Also Black Bears can get bigger according to food resources they have access to. 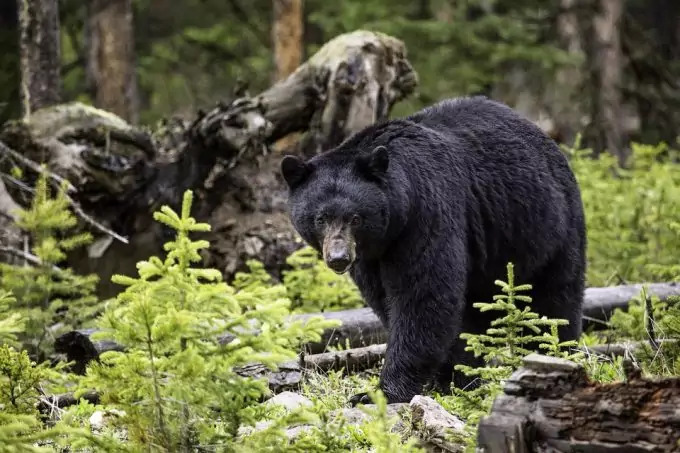 The fur can be misleading, given the fact that Black Bears can have brownish color in their fur and the brown bear (the Grizzly) can be dark brown, close to black. Why does a bear attack and when? predatory attacks, when the bear actually sees you as a pray and wants to have you for dinner. It is important to know which type of attack is happening in order to know how to protect yourself. The defensive attack happens when you take the bear by surprise or when you have the bad luck of meeting a mamma bear with cubs. 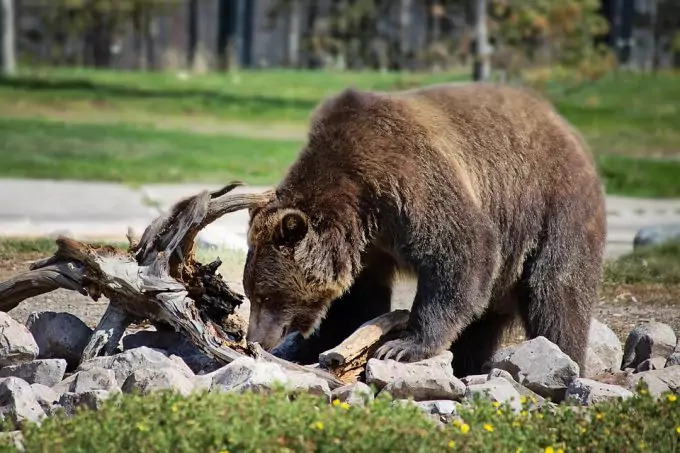 In a defensive attack the bear tries to scare and intimidate you using ground slaps, huffs, teeth clacking and he may even get on his hind legs. The predatory attack is direct and it is clear that the bear only has one intention: dinner. At first he will circle you, trying to decide when and where to attack first. We finally reached that moment in our discussion when we learn about how to get out alive and untouched out of a meeting with Smokey the bear. Over the years, people learned that there are a few tips that if applied correctly can actually save your life and corporal integrity. Before discussing what to do, it’s best to talk a bit about what not to do. Usually, when the big bear stands in front of you on the trail, the fight of flight instinct kicks in and the first thought you have is “Run for your life!”. This is a big no, no when it comes to bears. They may seem massive, but they can run! An average size bear gets to 30 miles/h and they can climb trees (Grizzlies are a bit less agile at climbing but they will definitely try). When you run, the bear will consider you it’s pray and he may actually shift from defensive to predatory attack. If the worse happen and Smokey sensed your presence, never turn your back on him. He will definitely attack if you do this. 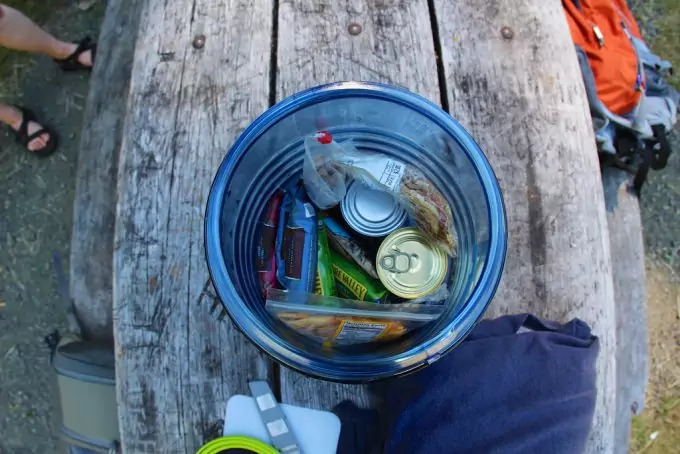 When you’re camping or hiking, keep your food in bear-proof containers. Bears are usually attracted by smells and garbage left around the tents. If you’re sloppy in bear country you will definitely have gests. Never feed a bear, regardless of how friendly he may look. As soon as he identified you as a source of food he will become aggressive and ask for more. If you see the bear at distance but he hasn’t seen you, don’t announce your presence. This will only scare him and trigger a violent response. Instead back away slowly and allow the bear time to move on (about 30 minutes) while you wait in a distanced place, downwind. 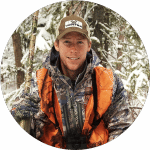 The bear is about 350 feet away and he detected your presence. This situation can be easily defused if you allow him to understand you are human. Start speaking in a soft voice and move your arms around (not too fast). If possible, retreat and take a detour, but don’t lose Smokey from your eyesight. Also, you should let him pick up your scent so he can see you are human. If you have children with you, carry them on your shoulders and teach them how to behave in case Smokey shows up. You will look bigger and more imposing with a child on your shoulders. Play dead – this may seem like a myth but it can actually save your life. If the bear charges in a defensive attack lie on the ground, on your side, and get in fetal position. If you have your backpack on, this will provide extra protection. This position allows you to protect sensible areas like your gut (with your knees) and your head (bury it into your legs). Do not leave your neck exposed! If the fetal position is not good for you, lie on your stomach and put your hands on the back of your neck. Remember, this technique should be used only as a last resort. Climb a tree – only make sure to choose a tall tree. Black Bears are good climbers and, if motivated enough, they will chase you in the tree. Grizzlies are known to only climb on short distances. Make sure to have at least 33 ft between you and the bear, to allow him to change his mind. Use pepper spray – it is extremely wise to get some bear pepper spray with you when you adventure on an area frequented by bears. It is only efficient when applied on close range (15 ft). If the bear gets that close, discharge the entire canister in his eyes to disorient him. Do read our article on the best bear pepper sprays to learn how you can protect yourself more. If you think the bear might be close but you can’t see him, make noise – talk, sing, bang pots, anything that will let him know you are coming from distance. Usually the bear goes away if he identifies you as a human being. 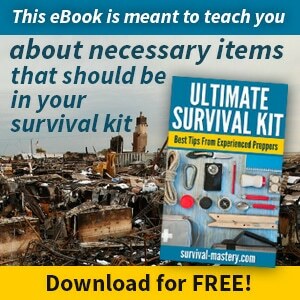 If the techniques mentioned above are not helpful, and a Black Bear still makes contact, it’s time to fight for your life. Fight back with anything you have at your hand: rocks, twigs, sticks, branches, your backpack, absolutely anything. Black Bears are more timid and you fighting back may convince them to back down. What to do when the attack is over? Usually, after the bear stops considering you a threat he will lose interest and leave. There have been many cases of violent attacks when the bear actually ripped pieces of flesh or used his teeth but left the victim alive. If you played dead or if simply the bear shows sings that he may want to leave, don’t jump up as soon as you think he’s gone. Continue to lie down and try to assess the situation. Listen carefully to the noises around and make sure the bear has actually gone. When you are sure, try to get up and move in the direction opposite to the one the bear has taken. Seek assistance and help from authorities and try to warn other campers and hikers that the area is dangerous. If you are badly wounded, try to ask for help using a phone or a radio station and remain as still as possible. If you can move, check your wounds and try to stop any heavy bleeding. Now you know how to behave in case a big brown or black bear crosses your path. Remember, that bear attacks are quite rare and they are as afraid of you as you are of them. Check out our piece on how to avoid wild animal attacks to keep you and your family from harm.